Norovirus, is a highly contagious virus; it is the leading cause of outbreaks of diarrhea and vomiting in the US. It is notorious for ruining many cruises. It spreads by contact with an infected person, touching a contaminated surface, eating contaminated food, or drinking contaminated water. Norovirus particles can float through the air and settle on surfaces. In 2010, a norovirus outbreak among the members of a girls’ travel soccer team was traced to a grocery bag filled with snacks (CDC study). It is thought that the bag of snacks was contaminated when a team member became ill in a bathroom in which the bag was stored. Team members were exposed to norovirus when they retrieved snacks from the bag. 1. Stay home if you are sick: Long bus rides in crowded conditions present the perfect opportunity for norovirus to spread. 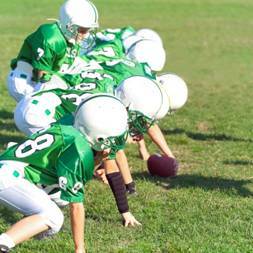 Real “team players” will want to prevent the spread the norovirus to their teammates. 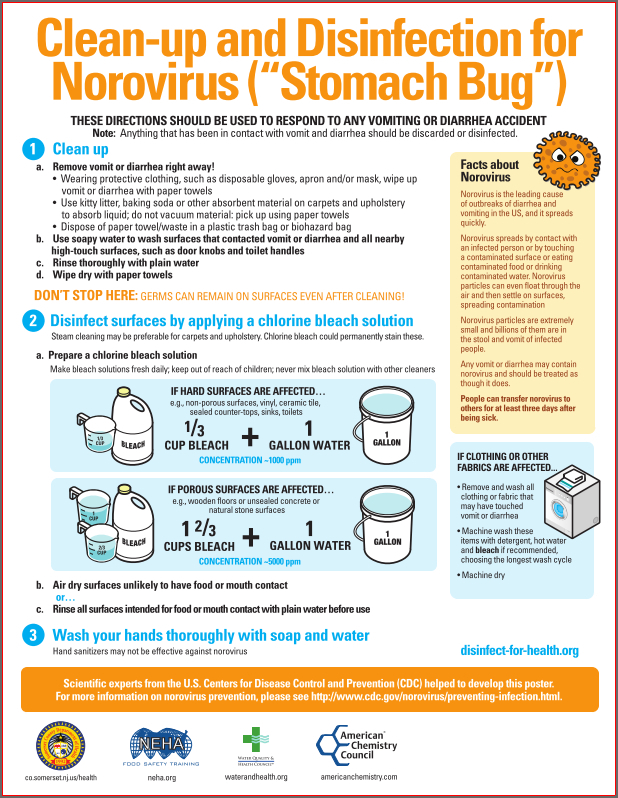 It is important to know that people can transfer norovirus to others for at least three days after being sick. Additionally, if players become sick while on the road, they should be kept as isolated as possible. 2. Don’t share water bottles or sports drink containers: Viruses can spread from person to person when drink containers or eating utensils are shared. Water bottles and sports drink containers should be labeled with team members’ names and never shared. 3. Don’t share mouth guards, keep them separate from other sports equipment and wash and disinfect after each use: Mouth guards can harbor pathogens. After scrubbing a mouth guard with cool water, let it dry out thoroughly, then soak it in products designed to clean dentures or orthodontic retainers. A mild solution of chlorine bleach (2 teaspoons bleach in 2 cups of water) can be used to help disinfect and deodorize mouth guards. After soaking in bleach solution, rinse well with plain water. 4. Wash hands thoroughly and often: Rest stops present the perfect opportunity for sports players to wash up while on the road, especially following a trip to the bathroom or before eating. Follow recommendations from the US Centers for Disease Control and Prevention for proper hand-washing. 5. Hand sanitizer may not be effective: Hand sanitizers may not be effective against norovirus. CDC notes that alcohol-based hand sanitizers can be used in addition to hand washing, but they should not be used as a substitute for washing with soap and water. I have spent many, many weekends taking my kids to soccer games and tournaments, and I know all the work that goes into a sports trip (e.g., practice, team work, travel, family togetherness). ALL THIS CAN BE DESTROYED BY JUST ONE INFECTED PERSON! Protect your family and your team! Bruce Bernard, PhD, is President of SRA Consulting, Inc., Associate Editor of the International Journal of Toxicology and lives in the Neck District of Dorchester County, Maryland.